Cessna Aircraft Company developed the XT-37 in response to a military specification for a turbojet-powered trainer. Cessna model 318 first flew in October of 1954. It was accepted and became the T-37. Kids love the T-37. It's one of the smallest planes we have, the cockpit is close to the ground, the pilots sit side by side, and it's easy to climb in and out of. Especially fun is that when you move the control stick you can see the ailerons and elevator move! 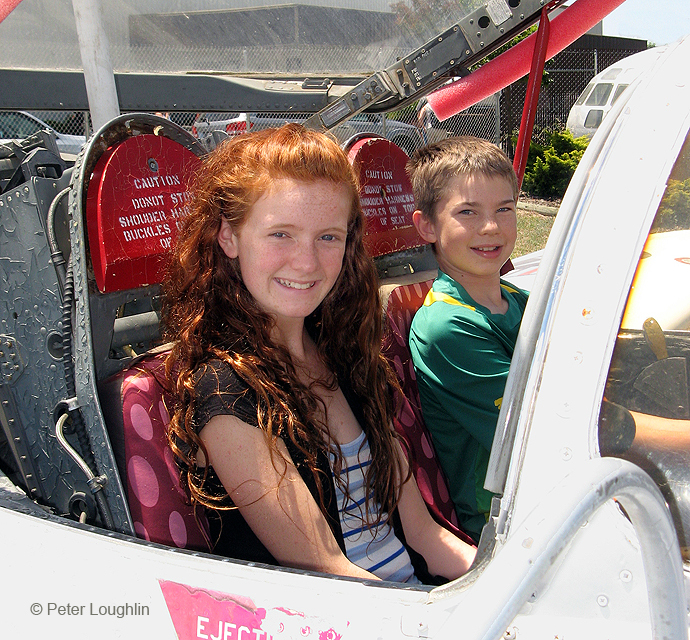 The Pacific Coast Air Museum welcomes visitors and students of all ages and capabilities. 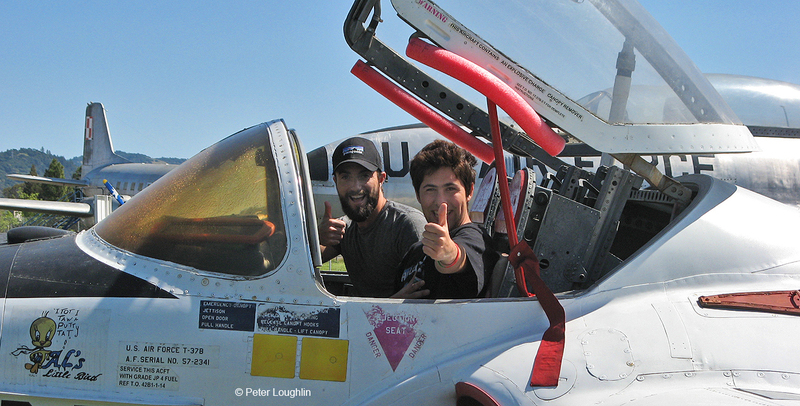 This young man and his caretaker really enjoyed the T-37, and were full "thumbs-up" about it! 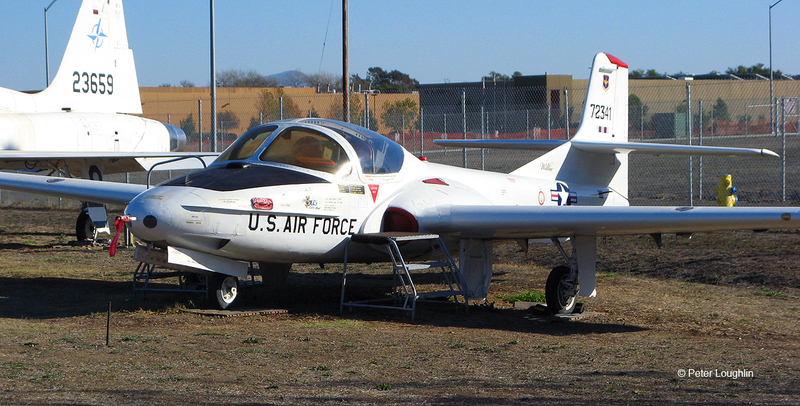 The T-37 is a primary trainer, and served the US Air Force for over 52 years. The last were retired in 2009. After completing training in the T-37, pilots moved up to advanced trainers like the T-38. 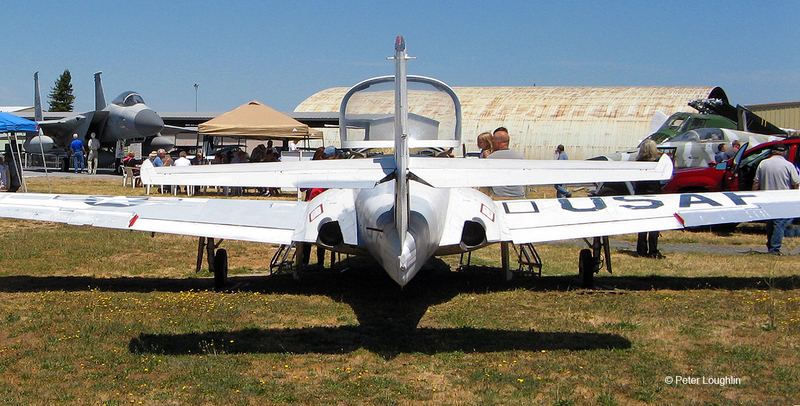 Cessna Aircraft Company developed the XT-37 in response to a military specification for a turbojet-powered trainer. Cessna model 318 first flew in October of 1954 and won the contract. Used primarily as a trainer, the T-37 was nicknamed the “Tweet” by its primary users, pilots in training. During the lifespan of the program, a light attack version of the aircraft, the A-37, was developed. As we get specific history information for this aircraft, we will update the site.